Renting a self storage unit can be a great storage solution for both personal and storage needs. A storage unit can be rented for short-term needs such as moving, storing items during a remodeling project or for long-term needs such as a long trip, military deployment, long-term job assignment or a college student studying abroad for a year. When you need to do long-term storage, you need to figure out what you need to store. Do you need to store the entire contents of your house or apartment while you are gone or do you just need to store a few items? This will determine the type and size storage unit that you will need. Military personnel or business people who will be away from home for a longer period of time might need to store their vehicles, so they would need to find a self storage facility with vehicle parking and storage capabilities. If you will need to store furniture, electronics, and other items that might be affected by extreme temperature changes then it would be a good idea to rent a climate controlled storage unit. These units will give the renter peace of mind that their belongings will be in good condition over long-term storage. Stop N Stor offers vehicle parking at their 6 storage locations in Hinesville, Port Wentworth and Savannah. Stop N Stor offers month-to-month storage options, so you can store for as long as you like based on your needs. Do not pack items in plastic bags. Plastic holds in moisture and humidity which can create mildew and mold over a long period of time. Use sturdy boxes for storage. Do not store belonging for an extended period of time in “used” boxes from the grocery store. Use boxes of smaller, similar shape. This allows for easy stacking, moving and access in the storage unit. Wrap fragile items carefully in bubble wrap or newsprint and make sure to fill the box up with filler material. Stack the most delicate items on the top of the box stack in storage. Make sure to label boxes and create a master inventory list of items that you have in storage. Vacuum seal heavy curtains, clothing and bulky items in vacuum sealed bags for long-term storage. Thoroughly clean appliances before storage. Add bleach or baking soda in the cleaning mixture to make sure it is extra clean. Leave the door for the appliances slightly ajar when storing. Place items above the ground on shelving units or pallets. Cover the floor with a canvas tarp or sheet. This will allow for airflow to continue in the storage unit around the boxes and furniture as well as help keep the items off of a damp floor. Before storing furniture long-term, vacuum the furniture with a brush to remove any excess dirt and then apply furniture polish. This will seal the wood and slow the advances of mold. Cover the upholstery on furniture with clean 100% cotton white sheets. Do not use dark colored sheets as these could bleed color onto the stored items if there is moisture in the storage unit. There are always seems to be stories in the news about fires at self storage facilities, but in reality, self storage facility fires are not very common. Facility fires offer many challenges to renters. 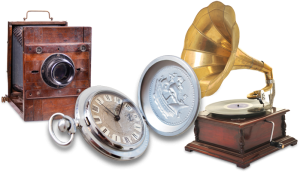 Renters loose personal property and belongings that can be personally or monetarily valuable. Self storage facilities fires can be averted with the proper prevention measures by both the facility management and by the renters. Storage facilities built with fire resistant materials such as concrete blocks and metal are less of a fire hazard than wood building materials. Storage facilities should have a working sprinkler system, smoke detectors and fire alarms throughout the facility. These should be monitored as part of a facility’s video surveillance security system. Fires at self storage facilities are least likely to happen when the managers and staff have been properly trained in fire prevention measures. Managers should diligently enforce the non-smoking rules at their facilities. As a renter of a self storage unit, it is very important to follow the fire safety guidelines that are provided by your storage facility. Properly load and stack items in your storage unit. Do not over stuff the storage unit with your belongings. Leave space for airflow as well as an aisle for easier access to the belongings. For additional protection from fire, store important documents or valuables in fire-proof boxes. Do not store flammable liquids such as gasoline, alcohol, paint or chemicals. When storing a lawn mower or other power equipment, drain the gasoline before storage. Do not store fireworks, fertilizers or aerosol cans. Self storage tenants should alert facility management if they see other tenants breaking the rules and guidelines of the facility. Tenants should also let the management know if they see any damaged exit lights, cluttered walkways and electrical outlets that might need to be fixed. Most of all, it is the tenant’s responsibility to get insurance to cover their items while in storage. Check with home owner insurance to see if items in storage are covered in the policy. If not, then purchase tenant insurance that is provided by the facility for an additional charge each month. It will give you additional peace-of-mind you’re your belongings are covered while in storage. Storage operators do not have fire insurance for client’s belongings. Self storage operators, managers and tenants all can work together to make sure that a self storage facility is following fire prevention rules and regulations. The most important thing is to pay attention to your surroundings and let others know if there could be a hazard. Renting a self storage unit is a great storage solution for many of life’s transitional events. There are many reasons people decide to store their belongings at a self storage facility from moving to downsizing to a smaller home. Self storage is a perfect option to store furniture and belongings if you are renovating or remodeling a home. Storing in self storage is a temporary solution from one or two months to many years. According to the Self Storage Association, 13% of all self storage renters will rent less than 3 months, 18% for 3-6 months, 18% for 7-12 months, 22% for 1-2 years and 30% for more than 2 years. At some point in time, either because of an expected or an unexpected event, you will need to move your belongings out of your storage unit. Every storage facility will have different move-out procedures for your storage rental units, so make sure that you know about them before you start cleaning out your storage unit. 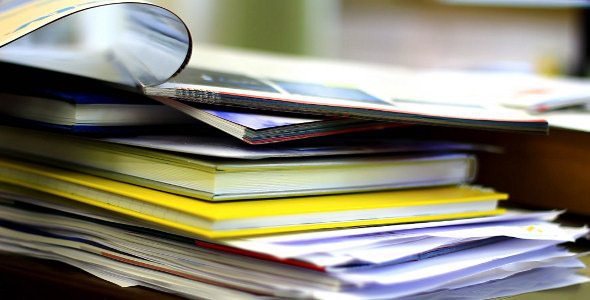 Some facilities can ask for up to a month written notice before you move your items out of the facility, while other facilities do not ask for any notice. Stop N Stor requires notice within 5 days of the end of the prior monthly term. All occupants must have moved out of their storage unit by the first of the month. 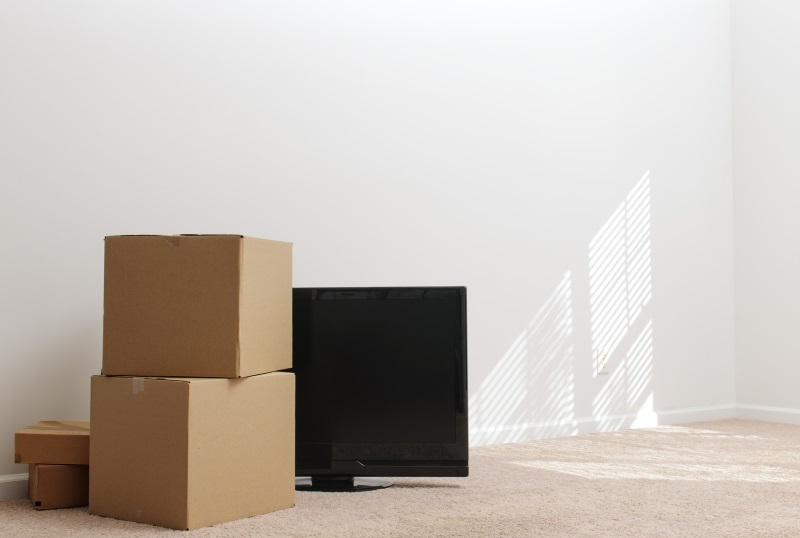 All move-outs must have a move-out receipt to avoid being charged for an additional month. When you are moving out of the storage unit, you want to avoid any additional storage unit fees that could occur if you do not follow the proper procedures. However, there are some steps that need to be taken before you vacate the storage unit. Make sure to remove all items from the storage unit when you are cleaning out your belongings. Do not leave any items behind. Sweep out the storage unit and remove any stains or spills to the best of your ability. The storage unit should be in the same condition, if not better, than when you moved in. Remove the lock from the storage unit. Drop off your lock to the management off when you are moving out. If you have any question about self storage, check out the most frequently asked questions with answers to general self storage questions or stop in to our 5 Stop N Stor locations. Our storage managers are there to help you with any future storage needs. It seems like there has always been a self storage facility in every town with some cities having multiple storage facilities. But, only fifty years ago, self storage was considered a “mom and pop” operation, with smaller operations to Real Estate Investment Trusts (REITS) with hundreds of facilities across the country. The self storage industry history is actually thousands of years old! Storage units and a self storage concept can actually be traced back over 2,000 years ago to ancient China. Remains were found by archeologists showing that the Chinese stored belongings in clay pots in an underground storage pit. These pits would be guarded and monitored to make sure no one but the owner could remove their pot. 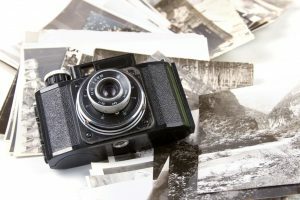 Many years later, British banking institutions entered the self storage industry, although it was still very different from today’s industry. Banks would store valuables for clients going overseas for extended periods of time. As these bank vaults became overcrowded with belongings, another option became necessary. 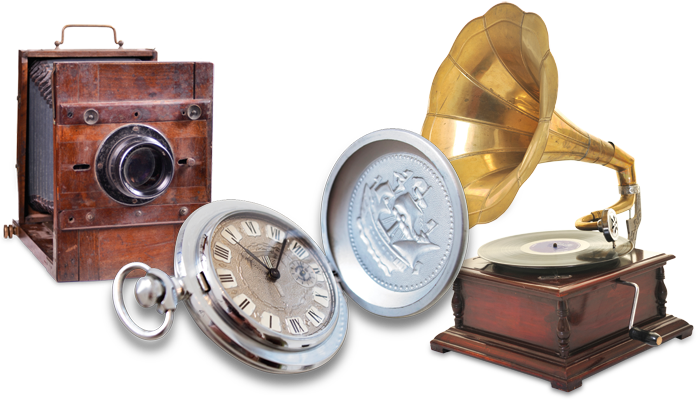 In the 1850s, the first warehouse specifically designed to hold personal and household items was built. Brothers Martin and John Bekins developed the concept of self storage for the United States in 1891, when they created Bekin Van Lines in Omaha, Nebraska. In 1903, they were the first company to use motor trucks instead of horse-drawn carriages, and in 1906 they built the first concrete and steel warehouse for storage. Today, there are over 60,000 storage facilities worldwide with over 48,000 of them in the United States! The self storage industry has come a long way in the past couple of thousand years! 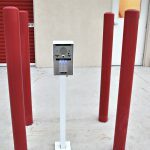 Today, many facilities offer state-of-the-art services, computerized gate entry and climate controlled storage units. Stop N Stor has had locations in Savannah, Port Wentworth and Hinesville since the 1990’s. Stop by our facility to see how our storage professionals can help you with your personal and business storage needs. The summer months are the busiest time for the self store industry. In fact, one of the busiest days of the year for self storage operators is the Tuesday after Memorial Day. Some storage companies have coined the term, “Crazy Tuesday”, to describe the large increase in calls and reservations on the day. Sparefoot recently declared the day after Memorial Day as “National Moving Day” because the majority of Americans start their moving process right after Memorial Day. This is also a busy time for people moving to purchase packing and moving supplies. The busy season for self storage coincides with the busiest time of year for moving companies. According to the U.S. Census Bureau, the summer is the height of moving season with over 11% of people moving in June alone. Summer is the time that families, recent college graduates and young professionals move to new destinations and opportunities. As the housing market and the economy continues to recover, people are beginning to be on the move again with the majority of people moving within a 25 mile radius of their current home. Most people are moving due to jobs or new opportunities. If a family is moving, it is better to complete the move before the beginning of the new school year. 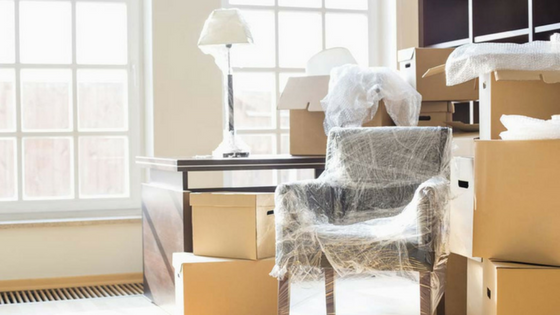 Moving is a stressful time, but if you can properly prep for the move, then the process can be much smoother. Since it is a very busy time for moving companies, it is important to make appointments with moving companies at least 3-6 weeks in advance of your move. Also, as the weather warms up, the rentals of storage units grows. There are many reasons for this including: people have finished their spring cleaning projects and need storage space for the items that they couldn’t throw away, life events such as graduating from college or getting married and moving for new jobs or if you are near a military base, deployments. Stop N Stor has 5 locations in Hinesville, Port Wentworth and Savannah for all of your storage needs. Stop N Stor knows that renting a self storage unit can be stressful for many different reasons. Our friendly and knowledgeable staff can help you choose the best storage option for your needs. If you are student, member of the military or a member of one of our communities, we welcome you to tour our facilities to see how we are different form the other storage operators. 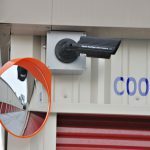 Our facilities have state-of-the-art surveillance systems and 24 gate access to give you added security for your stored belongings. Stop N Stor offers discounts to active military personnel and current college students and faculty. Just show your school or military identification when you rent your storage unit. Thanks for choosing Stop N Stor and good luck to everyone who is moving this summer! Vote today in the Best of Savannah Poll! April is when spring is in full bloom in Savannah. It is also time for the Annual Connect Savannah Best of Savannah poll. Connect Savannah is a free weekly alternative magazine that focuses on news and issues, arts, entertainment, music, food and drink and film in the Savannah area. There are over 100,000 readers both in print and online to the magazine on a weekly basis. The annual Best of Savannah Poll is a popular event every year in Savannah. There are 331 categories in the entire poll, but the poll taker only needs to vote on 25 categories to make their votes valid. You must register to the site in order to take the poll. Arts and Culture-Best Museum, Cultural Event, Film Festival, Best local theater, Best Local Actress and Actor, etc. City Life-Best historic home, best local celebrity, best neighborhoods-both upcoming and current, etc. Politics & Public Affairs-Best local political figures, best local policeman and firemen, etc. Media-Best local radio, TV and print, Best Local TV and radio personalities, etc. Food-Best types of food from Italian to Seafood to veggie burger, best restaurants, best chefs, etc. Nightlife-Best bars, clubs, happy hours, drink selections, etc. Recreation, Health and Beauty-Best local sports teams, best hospital, best pharmacy, best doctor, best dentist, best hair salon, best fitness club, etc. Shopping & Services-Best local clothes designer and shop, best 24 hour storage, best pet store, best place to use a military discount, best place to buy a car, best place to get a car repaired, etc. The voting lasts until May 1, 2013. The winners are announced in an upcoming issue of Connect Savannah. There is also a very popular local awards ceremony and party for the release of the issue and to celebrate the winners. Last year’s voting for the “Best of” Poll nearly doubled the amount of votes from 2011! Let’s make this year’s vote even more! Every vote counts, so get out there and vote! Stop N Stor is listed for the first year in the “Best of” poll under the category of Best 24 Hour Storage facility in Savannah. Help show your support for Stop N Stor by taking the time to vote in this year’s poll! Thanks for your support!! Security cameras at all Stop N Stor facilities give you extra protection for your belongings. Self Storage is a great option to store extra items that you no longer have room for in your home or business, but you cannot sell, donate or throw out. These items are important to you, so you need to choose the right self storage facility that will fill your needs. When searching for a self storage facility, there are 3 factors that most people look for in a facility: a good location, great security and a manageable cost. You should choose a self storage facility that is close to your home or business for easier access to your items. When you go to a self storage facility, you want to feel that your belongings will be safe while they are in storage and that you are safe when you are visiting the storage facility. Some factors to consider as you drive-up to a new facility are does the facility have a gated entry, video surveillance and is well maintained? The cost of the storage unit will largely depend on how big of a storage unit you will need and for how long. The smaller storage unit (5X5) will have a less cost compared to a larger (10X30) storage unit. Cost and location are important in the search for the storage unit, but security should be your highest priority. A clean, well-lit and well maintained facility will show you that the management cares about the grounds and your safety. Stop N Stor has well-lit and clean indoor and outdoor storage areas. Each facility has an on-site management team for added security. Storage unit tenants can only access the grounds to the storage facility via keypad entry on the gated entry. The storage units can be accessed 24 hours a day/7 days a week. The office hours are Monday through Saturday 9am to 6pm. Each storage unit is provided with an anti-pick lock at the time of the rental. 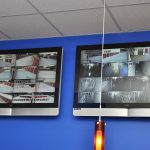 Each of our facilities has a state-of-the-art surveillance system. This system houses over 30 digital cameras with DVR back-up throughout each facility. The video screens for these cameras can be seen at our rental offices. All of these security measures give you peace of mind that your belongings are safe while at Stop N Stor. It is important to feel that your personal or business items are safe and secure while in storage. Another way to make sure that they stay safe is to limit the amount of people with access to the storage unit. Give an extra key to the lock to the facility management (for “just in case”) and only give access to the unit to one to two more people. The least people accessing the storage unit, the safer you can feel. Stop N Stor takes security for our facility very seriously! Stop by and let us show you the ways that we help to keep your belongings safe and secure. Storage Units as Artist Studios? There has been a surge of popularity in creative uses of a self storage unit in the past few years. Using a self storage unit only for extra belongings such as furniture, clothing or collectives has begun to change. As retail rental prices have climbed, the new small business owner is looking for other solutions to house their businesses and inventory. In the expanding self storage market in China, entrepreneurs are setting up their businesses out of storage units. It is low-cost, low overhead and a perfect place to store inventory. The business owner just needs to let people know where his storage unit is located in order to make a purchase or the business owner can package and ship goods out of their storage unit. There was a recent article that even talks about dance studios and bicycle shops being created out of a self storage unit! There are so many alternative uses for self storage units that are becoming more and more popular. Bands are using self storage for practice studios at some facilities. There are also other storage facilities that are catering to artists. Some self storage owners are converting and upgrading some of their storage units to accommodate musicians and other artists. This would include installing electricity, insulation, sky lights and glass doors, and in some cases plumbing and running water. Bridge Storage and Art Space in Richmond, California have created an artist community at their storage facility. They have monthly artist shows in a specially created gallery space as well as community meetings with their tenants. It does take some planning, remodeling and investigating of local regulations and utility codes if you are interested in converting the storage units into artist spaces. It is also important to be in a thriving artist area. Why would converting a storage unit into an art studio be a good solution for an artist? A storage unit can be a quiet and solitary place to work. The units that are being rented around you might be long-term rentals. This means that as an artist, you might not be disturbed for long stretches of time. On the other hand, you could acquire a lot of inspiration from the other renters of a busy storage facility. Renting a storage unit is affordable and there usually are not long-term commitment contracts. The storage unit is also a very secure and safe spot to store your artwork. In warmer climates this is a great spot to work year round. Based on the type of artwork that is created, it might be a better idea to look for climate controlled units to store your artwork. With nearly 45,000 storage facilities in the United States and the higher cost of renting retail space, the traditional model of a self storage unit is beginning to change. The facilities are adapting and changing to fill a need in their community and that need has changed from storing extra goods to focusing on business storage or alternative uses for the storage unit. What treasures could be in the storage unit? Photo courtesy of sparefoot.com. Stop N Stor held a storage auction this past Saturday, August 4, 2012 at our Savannah and Port Wentworth locations. The weather turned out to be great for a storage auction! The event started at 9am at our Savannah location. Once bidding was done on the 12 units at this location, the proceedings moved to our Port Wentworth facility. There were 9 units auctioned off at this location. Our auctioneer, Terry, led the bidding festivities. Thanks to everyone that come out to place bids on the storage units that were up for auction. We had a good crowd for this auction with lots of people interested to see what storage auctions are all about! Thanks also to the staff at our facilities that were there to answer questions and help with the auction. Keep up with the latest information on storage auctions for Stop N Stor via our Facebook Page , Twitter Page and this blog! We look forward to more storage auction events in the future.